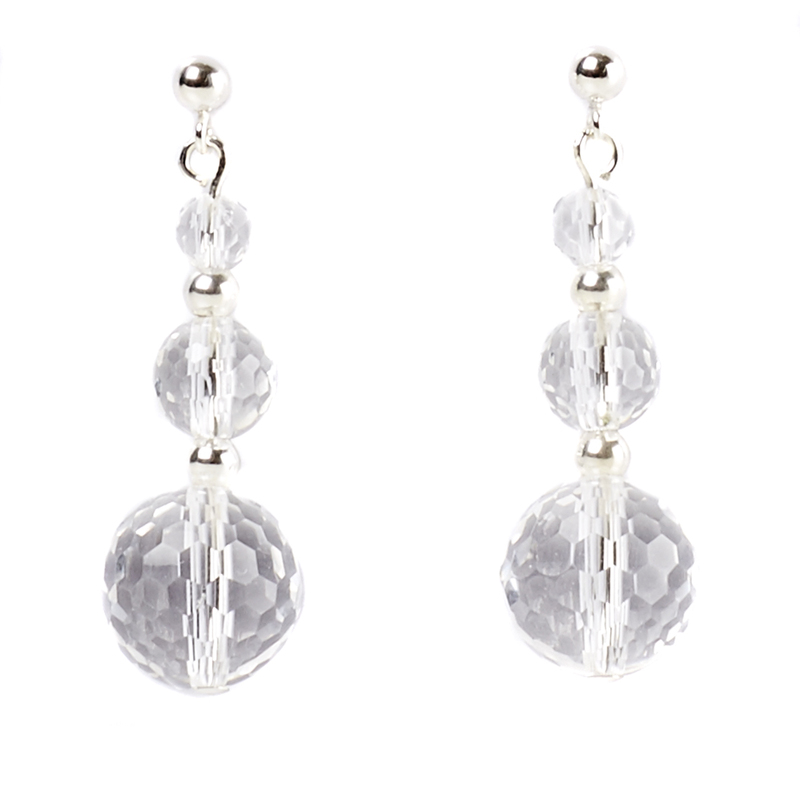 Faceted Rock Crystal graduated in size reflect the light and give these earrings their name.The name 'crystal' comes from the Greek word for ice. 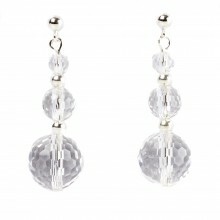 The ancient Greeks believed that Rock Crystal was water that had been turned to ice forever by the Gods. Faceted Rock Crystal (10mm, 6mm and 4mm). Post and butterfly fittings. Length 30mm.